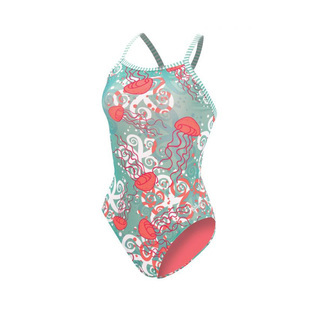 Float like a butterfly, sting like a jellyfish with the beautifully designed Dolfin Uglies JELLY V-2 Back Female. It's a well known fact the Dolfin's Uglies are a long lasting staple in the swimming world. Perfect for training and long sessions in the water this swimsuit is ideal for practice and everyday swimmers.